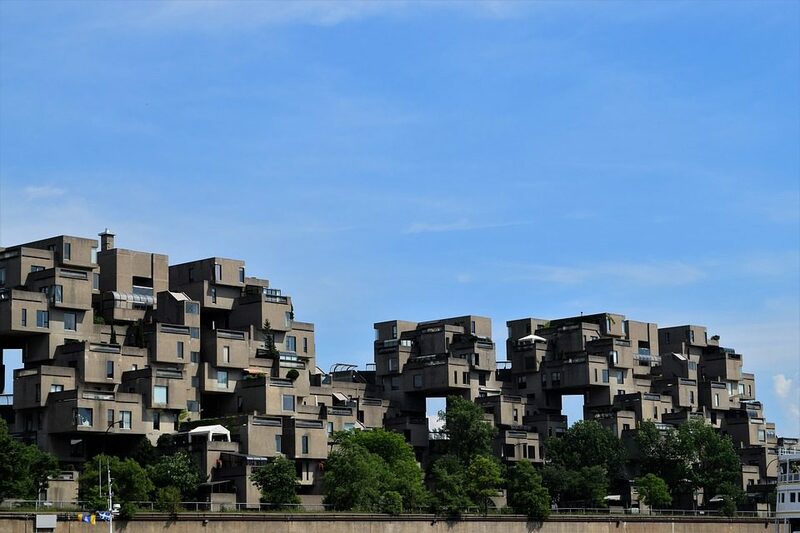 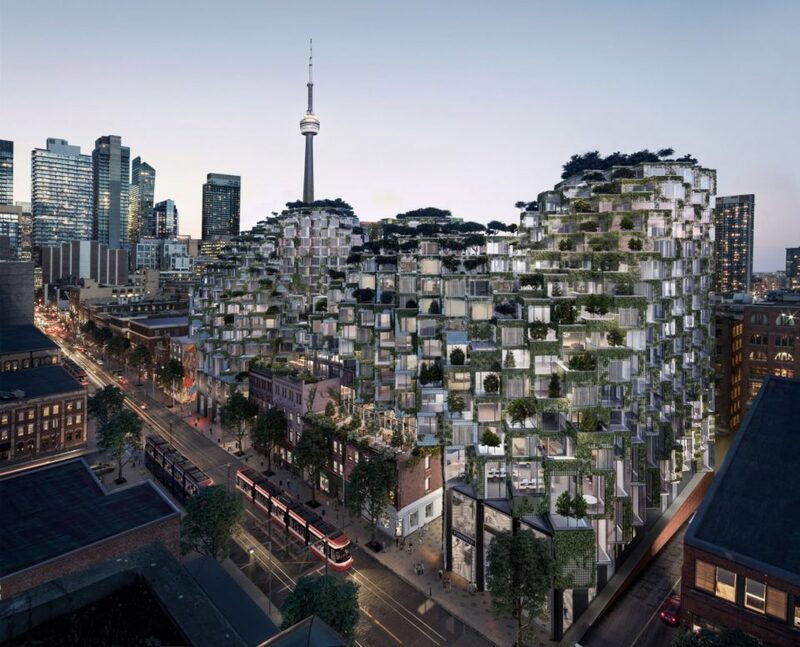 With an overt nod to Habitat 67 in Montreal by Moshe Safdie (similarly made up of many smaller modules, as show below), this new, undulating, mixed-use megastructure has been approved for construction in Toronto, Canada. 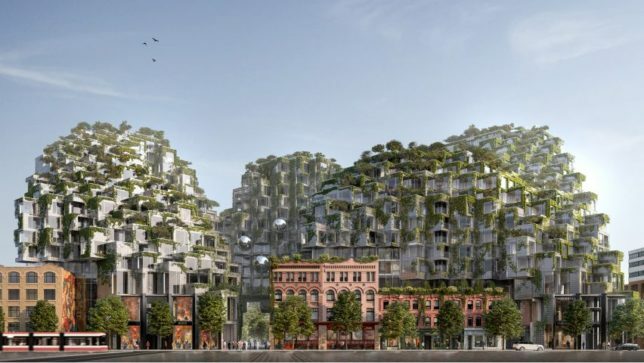 The King West Street development from Bjarke Ingels’ firm BIG looks like a series of rolling hills, or in the words of the architect: “peaks and valleys.” The firm has overtly called it “Habitat 2.0” informally as well. 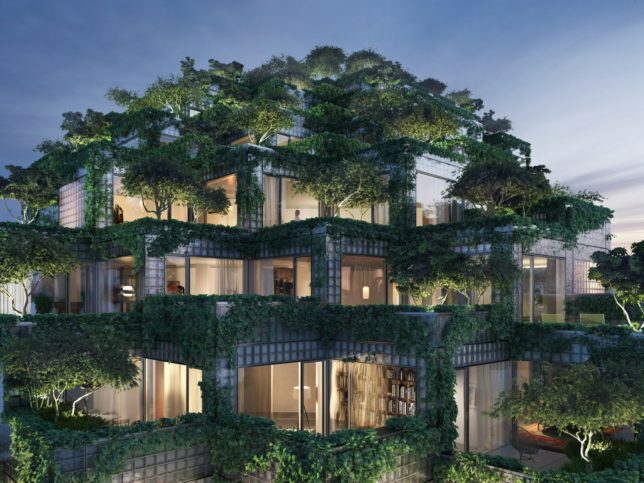 The structure ranges from a few up to sixteen stories with balconies and terraces for all residents, aimed at maximizing natural light. 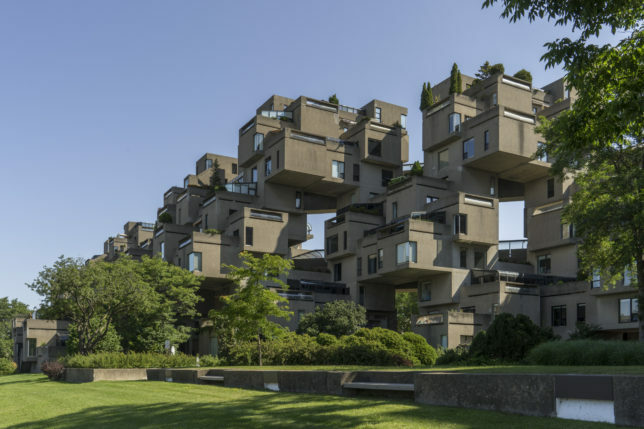 “The topography of the peaks and valleys provides terraces for larger units, while others have balconies stacked along the building’s perimeter,” explains BIG. 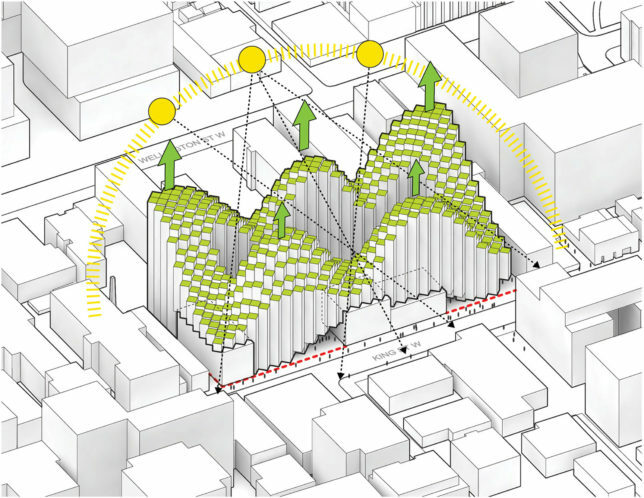 “Each pixel is set at the size of a room; rotated 45 degrees from the street grid to increase exposure to light and air. 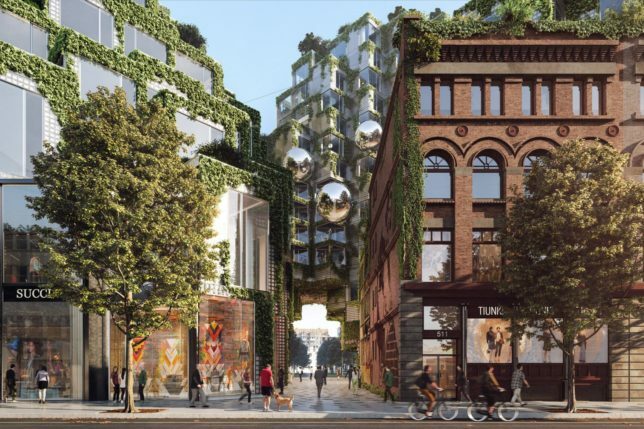 An undulating design allows light to reach neighbouring King Street all year round.” In the middle, a central courtyard can be shared and used for urban farming, too.